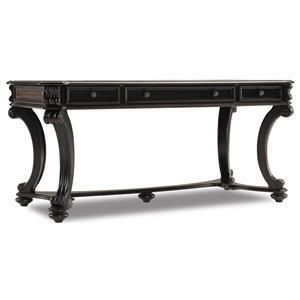 Design details such as the carved legs and distressed finish help to create the relaxed vintage style of this writing desk. Its two storage drawers provide space to keep clutter off your desk and your work space ready to go. 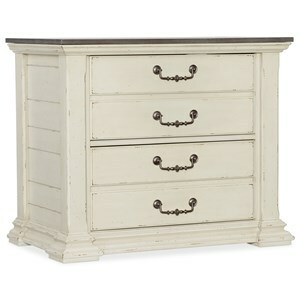 The relaxed vintage style of this desk is a perfect way to introduce an extra touch of charm to your home. 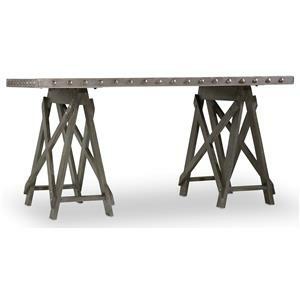 The 5644-10 Relaxed Vintage Writing Desk with Distressed Finish at Sprintz Furniture in the Nashville, Franklin, and Greater Tennessee area. Product availability may vary. Contact us for the most current availability on this product.